Your Free Flair Bartender Training Kit. Lets face it, a lot of us got into bartending because we saw Tom Cruise and the girls from Coyote Ugly flipping bottles and looking cool. It turns out, that’s not how every bar in the world is, there’s no Doug Coughlin behind the bar to train you into a bartending Jedi, but all is not lost! With just a few simple steps we can have you learning the skills you need in no time at all! So, we have a huge range of props you can use within the show you’re creating for your customers when they come into your bar, and this is just scratching the surface. I’m certainly missing items here, and if there’s something you use that i’ve missed, drop me a comment or post on the Facebook page, I’d love to see a video of you using something else behind the bar. Commercial practice flair bottles are available, and Flairco make the best, I think without a doubt. There is a French company called Flybottle who created what was certainly the in vogue bottle to practice with for a while, with a slender neck and slimmer body than the standard Flairco, however I always found the material to be a little softer than I would like, almost waxy, and while they were excellent for multiple bottle work, they would often jam in a mixing tin. Flaircos and Fly Bottles are normally around £25-30 each, which seems like a lot when you’re just starting out, especially when you see bartenders using 3-5 bottles in a sequence, don’t worry about that, one or two are a great place to start if you want them, or you can find cheaper (though admittedly less durable) alternatives online. Flairco also offers licensed flair versions of the Bols, DeKuyper, Bacardi and Skyy bottles which are popular in flair competitions, as well as the original which is similar to the Malibu bottle with its long neck and fairly wide body. Mixing tins can be in the $8-12 or £7-10 range each, and you will use more of these practicing and working. Unlike flair bottles you can use the same tins for practice that you use behind the bar, so this is less of an issue with cost. Bounce mats that you’ll use behind the bar are normally sold as anti fatigue mating but we all know its there to catch what we drop – an 8’x4′ mat, fairly standard can run $80-120 or even more, which is why they have to fall apart before the bar will replace the things. A good bar spoon will run you $5-7, Glassware can be picked up quite cheaply for around $1 a glass, and some of the other items can be picked up very cheaply… but we can do better. When you’re on shift you can make a point of saving the empty bottles from any shift. Make sure you ask the manager before you take them home (its very easy for this to look like you walking out of the door with a bag full of liquor on CCTV cameras, so be sure to ask every time you want to take empties home). Usually no-one will mind, and the advantage is these bottles are exactly what you will flair with behind the bar. They can be filled for working flair practice or kept empty or with an ounce of water for exhibition practice. Don’t practice with empty bottles if you can help it, as it will discourage you from spilling if you keep liquid in the bottles, but it is ok if you’re trying to master a new move for the first time. You can make these bottles last far longer and also speed up the clean up process when they do by wrapping bottles in sticky tape. Ideally electrical tape works the best and leaves you with a nice grippy surface, but any tape will work. Just make sure the bottle is dry when you wrap it and be sure to cover all the glass surface, then if the bottle breaks, all of the shards are contained and you can throw the whole thing in the trash in one go. This is one of the few items that is difficult to improvise, however you can learn many of the moves that you’d perform with a tin using something as simple as a can of deodorant, a juggling ball or a piece of fruit. You can certainly use these items to learn the zones for catching items such as behind the back throws, behind the head etc, and to learn juggling timing for one hand exchanges. One bonus with tins however is that your bar may well have been sent promotional shakers from one of the liquor brands, and when these promotions end, they are often discarded or given away. Also printed shakers often chip and when they start to look scruffy, the bar owners or managers may get rid of them, so swoop in and give them a new home! I personally use a big wooden rolling pin as a muddler to really crush the ingredients in my drinks, so you may well have something you can use in the kitchen draw that can take its place. If you’re using the smaller 6-8″ muddlers that are more common in bars, you could use a chunky marker pen to practice spins and thumb rolls. While i’m sure you can afford to pick up the odd lime or lemon from the store to cut a few garnishes to practice with (and don’t neglect garnish flair, throwing a lime over your shoulder into a drink often gets one of the best reactions to anything I personally do behind the bar), if you can’t, and for the purposes of our ‘Free kit’ idea, you could always ask the bar owner to take home a few garnishes that would otherwise be thrown out at the end of a shift that will be fine to use for practice the following day. Bevnaps are those little square napkins that your drinks should be resting on at the bar. Its easy enough to grab a little handful from work (as alway, check with your manager first) but if you can’t get your hands on them, a simple square of paper will work for the majority of napkin moves. While bar spoons are very specific to the bar and used for a large number of moves, they are becoming more popular (thanks to Nicholas St Jean) for balance tricks with drinks on top of them, so if you can’t get hold of one, grab that marker (one with flat ends, about an inch diameter) and that will be about the same width as the plate on the top of the spoon, so balancing items on top of that will be pretty close to the same as a spoon, if you really want the small area on your arm or hand, just tape a teaspoon to it! If you’re working in a bar you should own one of these anyhow, if not you can pick them up for about $1 for a plain one, and just like shaker tins, brands will often be handing them out to bars with their branding on, don’t be shy, ask your rep nicely! You must have some glasses knocking about at the back of your cupboards that you don’t need too much, same goes as with bottles and tape them up to save on mess when you get a break and you should be well away. While you’re unlikely to flair much with these, if you need them fine strainers can be submitted with a dollar store tea strainer, hawthorne strainers are a bit trickier, but can often be borrowed from the bar if you must have one. These can be picked up from dollar stores too, but with this I do recommend getting a good, and really big scoop if you can. I like to ice at least 3-4 glasses from one scoop, and when flairing be able to catch a glass in the scoop’s mouth. In reality, you probably won’t need one of these in your practice kit until you’re preparing for competition, but I’ve included it for completeness. While bar bounce mats are designed to be wet regularly and hosed off, anti fatigue matting that you can buy at a toy shop or often home improvement stores (foam squares with jigsaw like edges) will work fine to take the impacts out of your floors and is around £20 for a large area, up to 12 square metres. For a completely free option, just practice in the garden or if you don’t have one with grass, get down to your local park, and invite other local bartenders to join you so that you can share moves and teach each other! Armed with the information above, you should have no excuse not to be getting out and learning to flair this week. Just grab a few supplies that you’ll already have laying around the house, and get practicing! 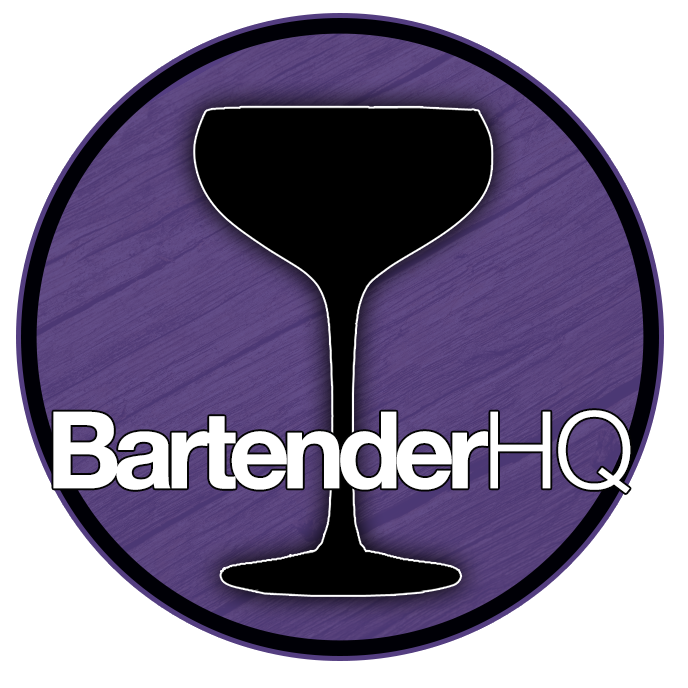 leave us a link to your practice videos in the comments below or on our BartenderHQ Facebook wall!